Chrysopsis camporum of Michigan Flora. 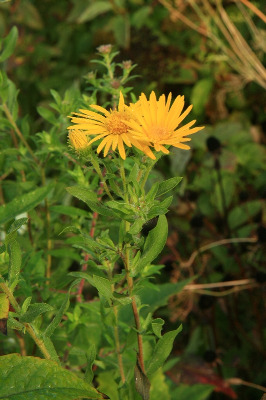 A prairie plant, adventive eastward, where it is becoming well established in dry, sunny, often sandy fields. First collected in Wayne Co. in 1953. Our specimens are all var. glandulissima Semple, with short stalked glands on stems and leaves. This is a showy, tall, and late blooming plant, often still in perfect bloom as late as early October. MICHIGAN FLORA ONLINE. A. A. Reznicek, E. G. Voss, & B. S. Walters. February 2011. University of Michigan. Web. 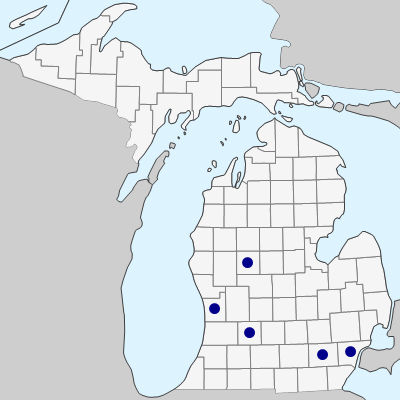 April 19, 2019. https://michiganflora.net/species.aspx?id=361.